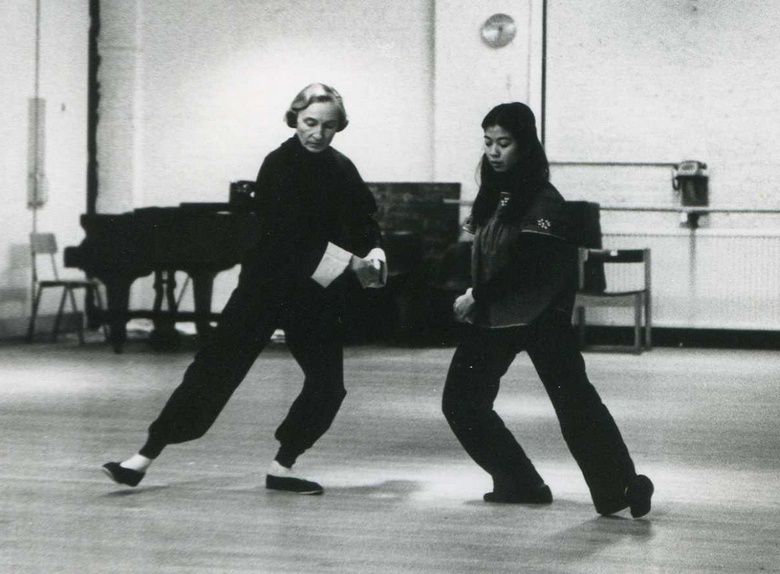 The world of TaijiQuan changed in the 1980s with the opening up of mainland China. 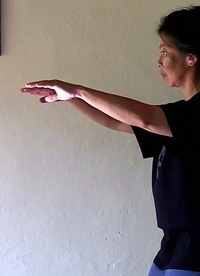 Two barely known themes, fundamental to the training, began to emerge: ZhanZhuang—the standing qigong, and Chansigong—the technique of twining silk. A book I wrote last year, Turning Silk: A Diary of Chen Taiji Practice (Lunival, 2009), documents an oldtimer’s plunge into this new world. This article describes the main themes of the book and adds some vignettes from those years. Glimmerings of the new began unobtrusively, with the appearance of short forms brought back from China to Europe and America. They were on the whole familiar, composed largely of the Yang Style that most of us already practised, with bits of Chen and Wu thrown in. I learned the 24 Form, curious about its different feel, which was somewhat abrupt compared to the 108 Form that had been my daily companion since 1976 when I began studying with Gerda Geddes. The new forms seemed to be like random collections of moves. After I had enjoyed their newness for a while, I settled back into my old Yang Style long form. 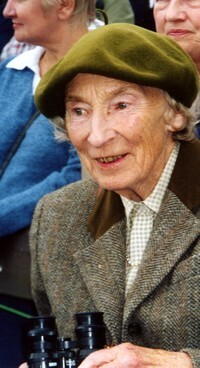 Pytt (Gerda Geddes) never paused in her own searching. I was quite content to stay by her side in those first ten years, but she insisted that I also go explore, and she sent me off down the road to John Kells, to Rose Li. The Marylebone Road, extending to Euston and Kings Cross, was the taiji artery in those days! On the other side of Drummond Street was Master Chu. The title of this article is a salute to my first teacher, Gerda Geddes. For her, quan—the fist—was the gathering of the energies, containment. Junctures in the T’aiChi form where the hand closes in a fist were significant moments, pivotal points, change made manifest. Attaching ‘Master’ to one’s name had not yet become fashionable, so we all pricked up our ears when he came on the scene. Pytt noticed an announcement of an open session that he and his students would be giving. She was dressed impeccably in her London mode (her best disguise) as we joined a hesitant audience. After about half an hour, the event was abruptly halted; we were told that the public was no longer allowed to watch, for the teachings were about to enter secret waters. We were bustled out into the late afternoon sunlight. Once Pytt took herself off alone to Soho, on appointment. She had been following a new master’s directions on standing still. He promised healthy dividends, and she wanted to meet him in person and to have a lesson. She was admitted to a small room, in which she found the master absorbed in the construction of a book shelf. Time passed; she waited; he struggled with the parts, trying to make them stack up and balance. Was this, she wondered, the lesson … in standing practice? However, to find people doing interesting things, she did not always have to go in search of them. They came to her, by the score. The classes in those days were full of colour and variety. T’aiChiCh’uan was fairly new on the scene; when Pytt had brought it back with her from Shanghai and HongKong, in 1958, almost no one in England had been interested; but by the 1970s, artists of many leanings had found their way to this vibrant woman. The theme at that time was to connect with oneself, to live with more feeling in the body and a greater awareness of the breath. These people drew inspiration from their time with her, and today they are to be found—scattered all over the world—teaching and inspiring others. In the decade leading up to 1995 when I met Chen XiaoWang, I grew restless. The teaching that had taken over my life since 1977, when Pytt first entrusted me with her evening classes in London, had perhaps been holding back my own development. From brief explorations into other people’s taiji in London, I became familiar with a bit of tuishou (push hands—taiji partner work) and so-called ‘free sparring’, more vigorous warmups with routines of punching and kicking, and so on. Since 1979 I had put in a lot of time to a group that had formed in Basel, going there several times a year, filling up my calendar. I did enjoy the Swiss teaching enormously; this was ground which I myself had laid, and the people were appreciative and committed. I noticed how much better it seemed to be for the student of taiji when the learning was intensive, happening over consecutive days; the student was then left with the responsibility to digest and practise on their own afterwards. Weekly classes, on the other hand, which were the rule in London, and which allowed people to notch in a bit of training once a week, seemed to make them lazy. Also, my classes in London had grown rather big, and I found myself conducting from the front, losing contact with the individual. For me, the taiji was losing its immediacy, its interiority. Students may not readily appreciate the teacher taking a sabbatical, and perhaps returning with revolutionary ideas. Nevertheless, at this point I went to China. I had never been there before. I arrived in Beijing on the first of November, 1986. It was zero degrees centigrade. I had an address in hand, at Jianguomenwai, of some people whom I had met in Spain, friends of the Catalan students of Tew Bunnag whose classes I had attended in London. They were surprised to see me but welcomed me warmly, and offered me a mattress on the floor. The next morning, I went with them to the local park, Ritan. From that day onwards I went every morning, waking up around 4am, and walking past people practising under the trees along the avenue leading to Ritan. I joined a friendly group of individuals who were taught by an especially sympathetic man. As I was already familiar with the 24 Form, they decided to do the 48 Form so that I could learn it. They were delighted that I was interested in the sword form, and persuaded our teacher to teach it to the group. Every day, after the people disbanded and we had had our breakfast, I met the teacher again in the park for more sword form on my own. By then it was January, and the temperature had plummeted to 17 degrees below zero. There was something new on the scene: Qigong. I did not see so much of it in the parks of Beijing, but a local Chinese friend whose mother had taught him showed me a series of movements at home. I think it was the Soaring Crane form. 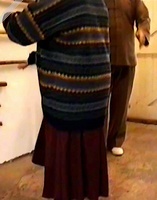 Later, down south, I saw this form in Kunming, taught in an enormous group led by two women and a man. It was fascinating to watch. After going through the sequences carefully, the lesson would culminate in a kind of free-for-all, what we would now call ‘spontaneous qigong’. While the two women teachers remained at their focal positions, the man moved amongst the people, taking care of them. 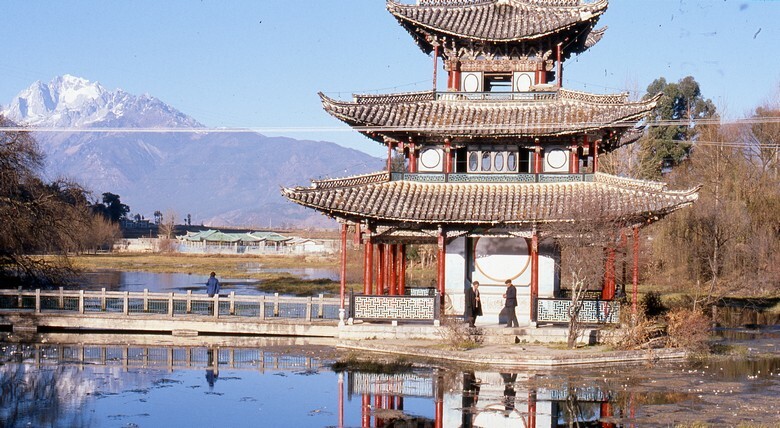 I stayed in Kunming until I had learned the HeXiang soaring crane, and then travelled onwards towards the Burma border. I had not realized, while I was in London, how students can unwittingly limit the teacher’s own perception of what she is trying to do, through expecting a repetition, year after year, of material they have worked to acquire, or are still trying to acquire. Only when I was on my own in China could I begin to acknowledge that my taiji had not penetrated the core of the subject, despite an engagement of more than ten years. My daily rounds of the long form had begun to feel hygienic—like brushing my teeth; it was better to do it than not. The other taiji classes that I had tried, they were not really ways other than what I already knew. They were other teachers’ rationalizations of the same material. Something vital was missing. Returning to London, I wondered whether studying Chinese medicine might help my taiji practice, my teaching. Would it help me to see what I was not seeing, in myself and in my students? There was talk of breathing techniques, a bit of experimentation. 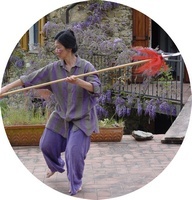 The qigong which I had encountered in China did brush past an elusive quality. Of which sort was it? I sensed it as I would a living being, but one veiled from sight. I felt the elusive lack more acutely after I moved in 1989 to this lonely valley in Italy. Freed of weekly commitments I practised on my own, every now and then joined by Italians, some of whom lived two or three hours away across the Apennines. They had come knocking on my door (we did not have a telephone); it was never quite clear how they had found me, in these hills lost between the mountains and the sea. Old students from Switzerland and England came for retreats here; those were good, grounded by awaring practices (I am looking for a new term, which means ‘practices in awareness’, awareness training) which enhanced our taiji—shared discoveries taking place in this hinterland. Also in this time, there was a women’s house, Villa Kassandra in the Jura. 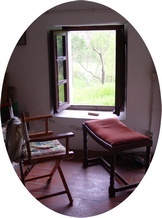 There were retreats there too, like here, with days of silence, once we had found where we would be eating, sleeping and practising, and at the end of the retreat a day of ebullient chatter. Women can work very well together. In 1995 a friend told me there was a teacher named Chen XiaoWang who would soon be making his second visit to London; had I not long expressed an interest in Chen Style? My early notebooks, in which I had recorded all my lessons with Pytt, have a scribble on one page: Chen … spiralling … centrifugal force … I had no idea what it meant, and it sounded exciting. But in Beijing, when I had been offered lessons in Chen Style, I had shied away from the teacher. Now, nearly ten years later, something told me that I should get myself to London for this Chen man whom I had never heard of. He would be teaching LaoJia, the Old Frame of the Chen family, the matrix form of the various taiji forms that we have today. He took me by surprise. I was shocked in the very first lesson. The shock came from his alteration of my upright posture. The swift adjustment that he made transformed a movement I had performed countless times for nineteen years. What he did wired up the arms as they rise at the start of the form; filled them; connected them to my lower belly. I had never found centre before! Indeed, I could not possibly have done, standing so straight that I was in fact drawn a little backwards. This first encounter—a correction, seemingly minor—that altered dramatically my sense of my body, my perception of movement, my understanding of what I thought to be TaijiQuan, was decisive. From day one, I did not dare touch my old form, for fear of slipping back into habit. The three central chapters of Turning Silk examine in detail a lesson on my own with Chen XiaoWang which took place at the finish of the LaoJia seminar in 1995. Fortuitously it was recorded on videotape. Intensive series of snapshots show Chen XiaoWang’s particular way of teaching, his ‘hands language’, where he communicates through his hands what cannot be taught by any other means. The details are often fine, and the text intimately wrapped around the pictures gives voice to an oldtimer’s first encounter with a new way of being in the body. One has to be in the body differently, before one can move in a new way. Yet this ‘new’ way of moving had been described in the old texts, to some extent, and to me, it seemed, fancifully: poetic evocations of an ancient art rather than a system of training. Consider dantian, the central place in the lower abdomen. Until a teacher shows you how to connect up your body, dantian will be an idea, and moving from dantian a fantasy. And the how of connecting up the body, this is subtle and requires patient study. That study began for me three months later, in Australia. My companion Ben, who had seen (through the camera lens) the lesson discussed in the LaoJia chapters of Turning Silk, developed overnight a desire to study taiji—to study this taiji, so delicately conceived and enacted. Chen XiaoWang in those years enjoyed an Australian summer during our winter months, and we eagerly took the opportunity to exchange winter for summer and to swap our lonely valley for study in Sydney. So began the training that has absorbed me for the past fourteen years. In Sydney we were introduced to the practice of ZhanZhuang. 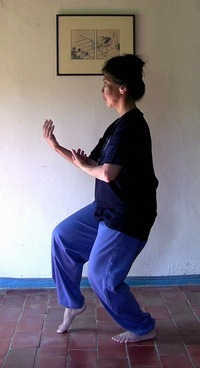 This standing qigong instills the capacity to listen to one’s body and learn to see its energetic workings. The practice took root in us, day by day, on this and subsequent visits to Sydney. At the beginning, the adjustments were gross, and grew finer as our bodies became more aligned, as we became more sensitive to the connection between posture and qi flow. 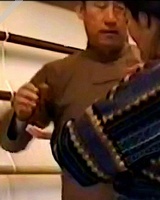 Chen XiaoWang taught us his series of twining silk exercises, Chansigong. These apparently simple exercises, which are surprisingly complex and utterly precise in his system of training, reveal every break and tear in the energetic connections of the body. Under our teacher’s constant surveillance and the guidance of his ‘hands language’, we gradually learnt how to recognize and repair those blips in the body electric. These exercises are worth every hour that one devotes to them. They develop chansijin, twining silk power. Based on the foundation that ZhanZhuang establishes over time, glimpses arise of a new way of moving. And what is this new way of moving? How is it different from the old way? What did we mean, in the old days, when we spoke of ‘flow’? To be guided in my movements by interior sensation, an internal sensing from moment to moment, listening deep inside my own body, was undreamt of in those days. And today, I am not surprised by the student who, when he hears the direction, “Qi to fingers”, says, “But I don’t believe in qi!” My response is, “Never mind, there is no need to believe. 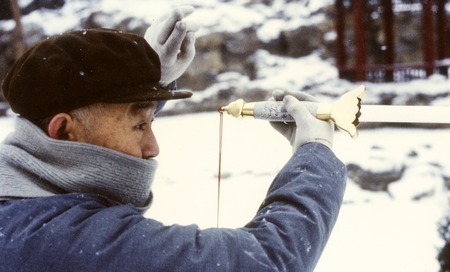 Just keep practising, with full attention.” And chances are that when he does continue with regular practice, which means a good hour of Chansigong, every day, he begins to describe experience—a sense of plenitude, a softening in the mind, ease, warmth or cool travelling through the body, and all he is doing is a single handed exercise. Or not even that. He is only standing still, thirty to forty five minutes a day, and he notes from time to time that the body feels to have become liquid. He loses his hard edges. He feels fully on the earth, and bounding free. These are every day experiences in the life of a practicant. They may be fleeting, but they are not rare. Such experiences come of themselves and cannot be held onto. A striking characteristic of Chen XiaoWang’s way of teaching is the sparseness of talking, which he calls ‘word language’. We may think this is because of the ‘language barrier’, that if he were to teach us in Chinese, he would be saying a lot more (and we would then be let into the secrets). But he is well aware that there are no barriers in ‘hands language’, except those which the student imposes on the learning experience. He teaches with few or no words. Learning by watching, sensing and absorbing Chen XiaoWang’s way of moving was an integral part of learning to live differently in my body. We see so much more clearly when we do not speak so much, when we forget to ask our questions. That is why he even disallows questions until the student has watched, tried out, and watched again. Learning the forms this way with him can develop another sense—wholeness of perception, entirety of experience. Then, when one practises on one’s own, this inner eye-ear-touch watches, listens and guides. and Chen Style 1995 to the present.